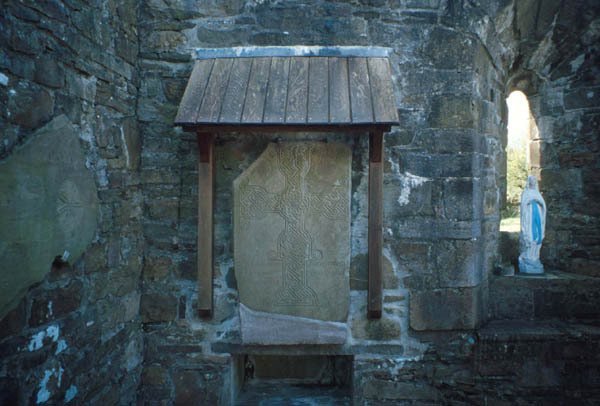 Tullylease is today most famous for its magnificently-preserved cross-inscribed slab. A flat stone bearing an inscribed cross, the cross slabs often bore an inscription asking the observer to pray for the person named on the cross. At Tullylease, the inscription states, "whoever reads this inscription, pray for Berichtuin." 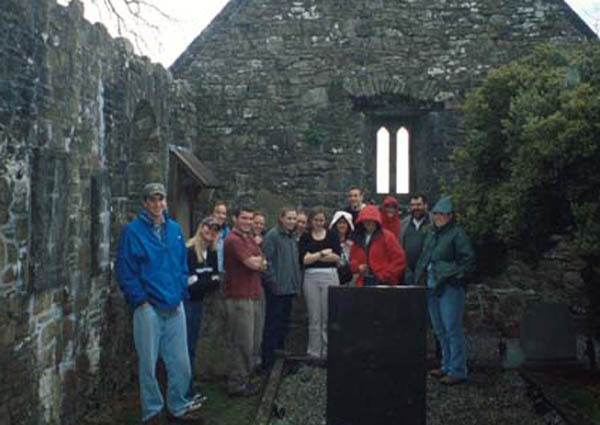 This slab, affixed to the east gable of the church, dates to as early as the 8th century, and today it simply stands on the wall of the church, exposed to the elements.